Last time I ventured up north to visit the parents I introduced my mum to the wonder that is Pinterest. She’s not really one for social media, in fact she just doesn’t get it. ‘But why would you want other people seeing what you’re doing?’ A sentiment I’ve always avidly encouraged when it came to my parents jumping on the social media bandwagon. When I was younger, it was to uphold my sacred teenage privacy and now to avoid a constant stream of Facebook notifications, requests to play candy crush and the odd awkward ‘poke’. But Pinterest, I explained, is different. Not just a hub for pretty pictures, it’s now my ‘go to’ for inspiration from decorating my new flat to what to cook for dinner to where to explore on a city break, if I’m honest, I’ve become a bit of a Pinterest-fiend. The best way I could describe it to her was as an online cork board, if you like something you pin it so you can look at it later, she quite liked that so decided to take the plunge and sign up, well I signed up for her. I’m not sure if she’s kept it up, but at the time she found the whole thing quite exciting. ‘And you get to do this for work too? !’, she asked – sometimes I forget how great my job is. 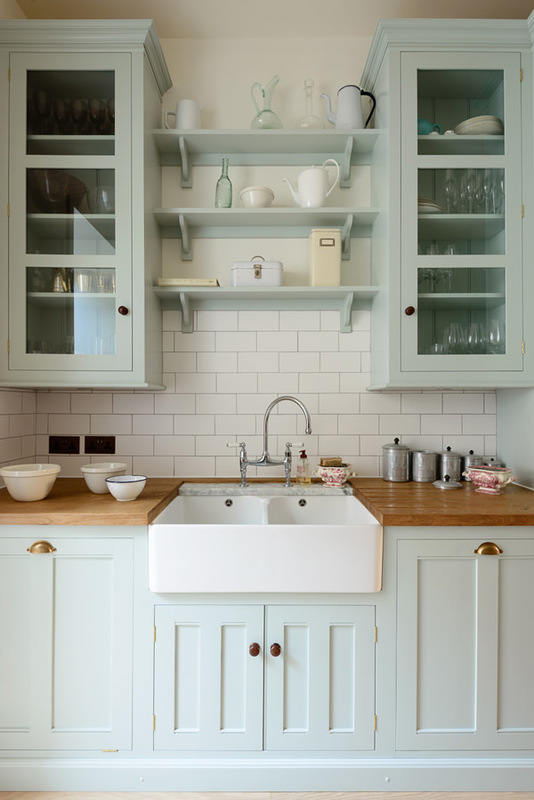 I get to fill our Pinterest boards with our beautiful kitchens, the comings and goings of cotes life, all our cool new gifts and antiques as well as lots and lots of home/colour/life inspiration! I love looking through our boards and seeing which pictures are peoples favourites, trying to guess and most of the time being surprised. Recently Pinterest changed how it shows its stats so you can now see how many times that picture has been pinned from any board not just directly from yours. I was blown away to see just how many people had chosen to pin our pictures to their own inspiration boards!! I just couldn’t stop picturing all those thousands of cork boards filled with our beautiful kitchens, so so cool! So I thought I’d share our top 5 most pinned pictures ever, can you guess which project made it to number one? 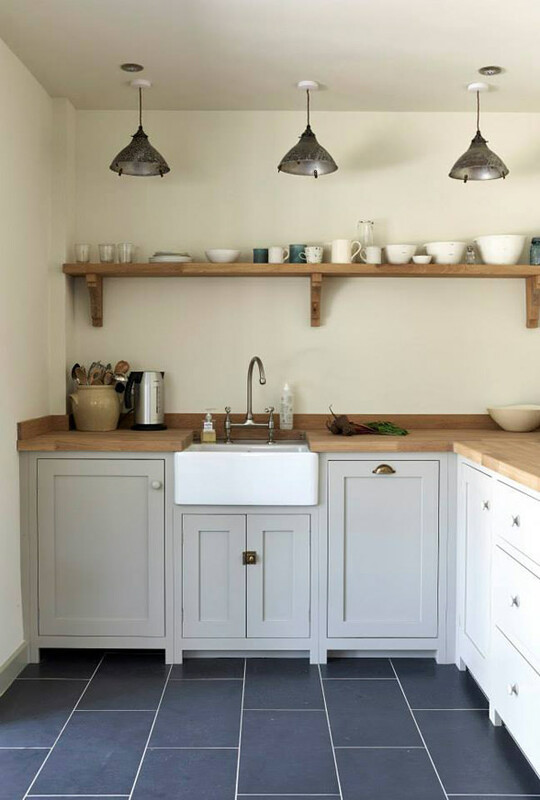 In fifth place with over 11,000 is this beautiful shot of one of our Shaker kitchens in a lovely Boarder Oak cottage, an old one but a classic. 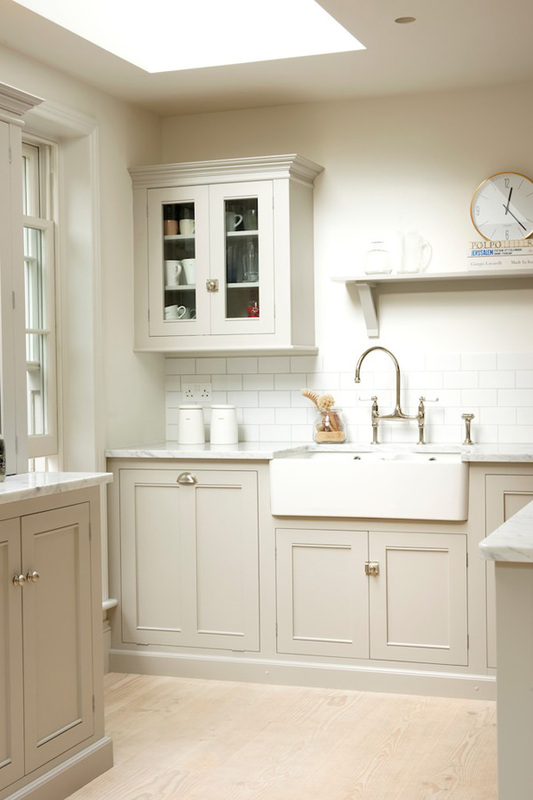 What I think is so great about this kitchen is that it’s so easy to relate to your own home, a little corner similar to most kitchens, styled really simply with a few special details. I really love the big shelf spanning the whole back wall, it gives a real rustic feel without making the room feel dated and too twee. The Bath Kitchen will always have such a grand and elegant presence to me. One simple long run down one side of the room painted in this gorgeous deep Pantry blue which contrasts so beautifully with the crisp white walls, such a winning combo! A dresser always reminds me of my childhood, I just think it’s such a homely piece of furniture. So far from the MDF flat-packed stuff that fills student homes and rented flats, it’s such a timeless piece. Even though these glazed cupboards may have looked slightly less elegant filled with mine and my sister’s attempts at the latest Blue Peter make, it fills me with nostalgia looking at this lovely picture. Runner up is the most recent project in the top 5. I remember when we went to shoot this kitchen at the end of last year, everyone was really excited, we hadn’t really gone to take pictures of a Classic English project for some time so it had a lot to live up to, but this kitchen definitely didn’t disappoint! The narrow galley style design uses these beautiful bespoke tall cabinets to make the most of the high ceilings of the cool London property. In fact, when you see how much storage there is for such a small space, it’s really quite impressive. This kitchen still has to be one of my all-time favourites. 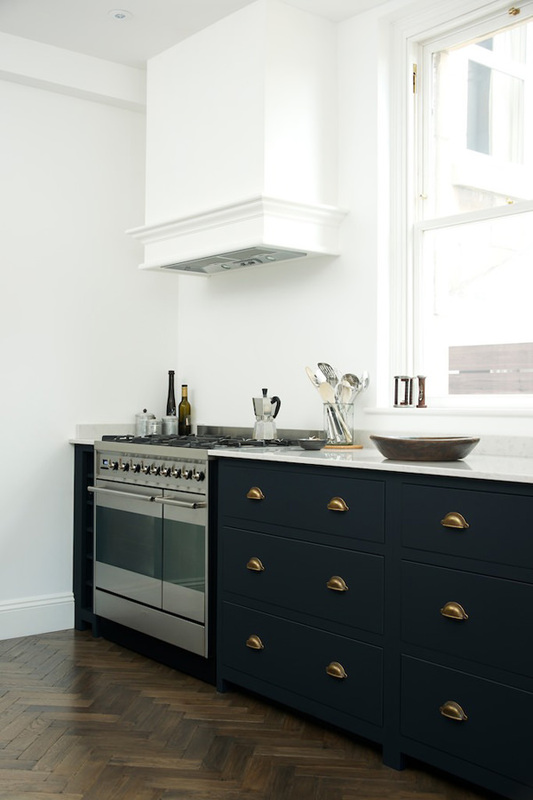 The modern style, perfectly proportioned classic cabinets, Carrara Marble worktops and antique silver handles; simply kitchen perfection. – You can check out of all our beautiful Pinterest boards here. – We’re also on Instagram, Facebook and Twitter, happy browsing!